2 Comments on DEAR CAITLYN JENNER: Welcome To My Dark Side! GIRLFRIEND! I am so excited to finally be writing you, you gorgeous thing! For years I have watched you! Looked up to you! Believed in you in every way! To me, you are an inspiration! A goddess! I aspire to be just like you and to be honest, BRUCE wasn’t so bad either. Perhaps it bothers you to hear, but good old Brucie boy is worth looking up to as well! Or at least he was worth looking AT, the man has been my screensaver for two years! I know it hurts, but that damn Wheaties box has been pole vaulting through my head for ages~ I can’t deny it, can’t make it go away. I was not even alive in 1976, but MY GOD, Cait! Woman to woman, you should at least be able to appreciate a fine man’s spicy set of hamstrings! *I* don’t care if it’s a lie or not, THAT’s the guy I want jumping out of the cake at MY bachelorette party, I’ll tell you what! Still I admit that I too would go crazy were I stuck in Bruce Jenner’s body, just as I am slowly being driven mad in my own empty shell! I have spent my whole existence trapped in this body of earthen clay (a hollow carcass, a corpse if you will) that disagrees with the lunar rain dances and fiery supernovas of my very soul! I am but an awkward outline of a human being, trapped in a dead physique which refuses to bend or grow or flex to accommodate the fantastic, booming richness that is my essence! I turn to you, Caitlyn Jenner! My deep, dark secret is that I always knew I was trans, but I could never do anything about it. What would people say if they knew? What would they think? Anyway what was I supposed to do? Take a red pen to the blueprint of the Universe and start making corrections? Slice an exacto knife through the fabric of reality, chop up everything and pray for divine absolution? Hurt all the people I love? Alas! The “slicing” approach only works with gender dysphoria. All too sadly, I suffer from “economic dysphoria” myself, which is really only slightly different than what you have been going through. Maybe it has taken a lifetime to get me here, but at last, I am ready to start my journey. Caitlyn Jenner! I need your help. 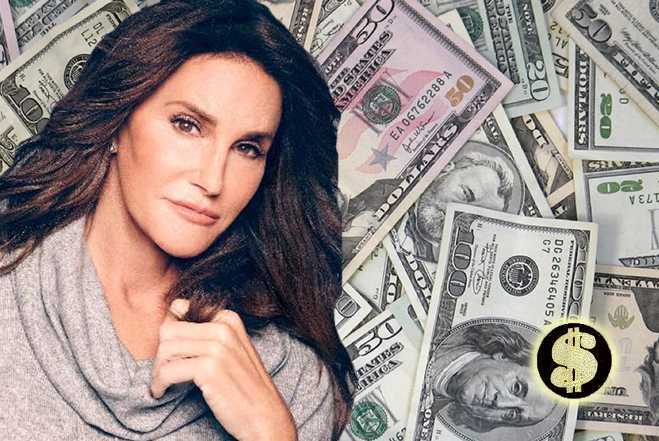 I am a trans millionaire! I would have you fooled. I have them all fooled. My bank account has about thirteen dollars in it today. To me, that doesn’t exactly seem like the bank account of a millionaire. Sure, I’ve got a sob story of how my bank accountgot that way, but has been almost a year since I lost my whole life and my whole bankroll in Hurricane Matthew. I am starting to think it may not be all that appropriate to talk about it anymore~ outsiders who don’t understand the sheer totality of what happened here in St. Augustine are a bit of sick of hearing about it and I’m sick of seeing the eye rolls. Still rest assured I have a standard tear jerker! It’s a good one too! Since then I’ve considered suicide! I considered surgery too, yet there does not appear to be any way to surgically implant millions into my bank account; I don’t know what’s wrong with me. Try as I might, I simply cannot keep up with the Kardashians. Caitlyn! Don’t you see? We are the same, you and I! There was only one thing you holding you back from your dream and that was BRUCE . . . and there’s only ONE thing standing between me and my dream and that is the lousy thirteen dollars in my bank account! Now in order for you to get rid of what stood between you and YOUR dream, you had to go under the knife and change the whole geographic layout of your entire body. *I* on the other hand, would only have to come up with ONE MILLION DOLLARS . . . and get it into my bank account where it belongs. Now that is why I am so happy I found YOU! Because YOU’RE going to give me ONE MILLION DOLLARS, I know you are! I can feel it! After all, we women sisters have to stick together! You’re the perfect person to do it too because any kinds of insane, ridiculously high amounts you made as Bruce Jenner, Caitlyn is going to make ten times that and you PROBABLY need a new shopping buddy! Nobody knows serious shopping like I do! NOBODY! CAITLYN JENNER! I implore you! Please give me ONE MILLION DOLLARS! GIRL! We could change the world! Get back to me as soon as possible please! I can’t wait to hear from you! I propose we both go shopping and see who can spend ONE MILLION DOLLARS the fastest. *SIGH* . . . I always wanted a sister! Previous post: DEAR FABIO: I Can’t Believe You Won’t Give Me A Million Dollars! Next post: DISTRESSED DAMSEL BATTLES HURRICANE! Bree Bee! This isn’t going to work because he? she? is too famous. Shim will never get this. I liked Steve, hes the guy. Is he even rich? I don’t know. He certainly made enough to afford some decent pants. Yet I only wrote this for fun. I am writing *most* of these for fun . . . I only need ONE to work. Just one.